At AssistiveWare, we believe successful communication is when every person can share their own thoughts and ideas, desires and wishes. On this page you will find articles and information about Augmentative and Alternative Communication (AAC). Together we can support real communication for everyone. Learn more about AAC and whether AAC could be beneficial. 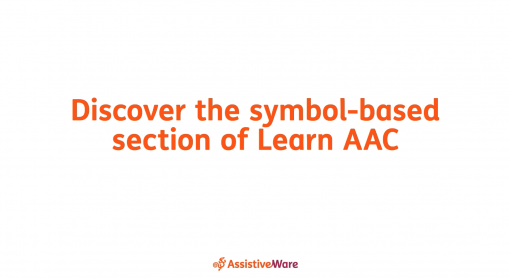 Support symbol-based AAC users for successful communication. Supporting text-based AAC users for successful communication. Access a wide range of resources to support the implementation of a core word vocabulary. Not sure where to start with our new Learn AAC section? Let Amanda walk you through it!